Alicia Yaffe joined the management team at JAM, Inc. in 2016. Prior to that, she had been the president of The Spellbound Group, a strategic digital marketing company, that has been providing services to JAM, Inc. clients since 2009. 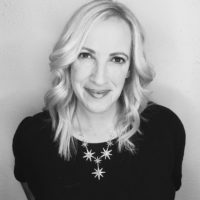 Alicia applies her years of expertise as the chief architect behind the integrated marketing department at several companies including Rocket Science, where she directed social media campaigns, digital sales initiatives, and on-and-off-line events to build successful campaigns for her clients. Her experiences co-managing So-Cal Punk forefathers Unwritten Law helped hone her creative chops, as well as her ninja-like abilities to get in the heads of both niche communities and broad audiences. Alicia has been a speaker on social media marketing, strategic marketing, and fan engagement at Web Summit, CMJ, NARM, the Event Live Expo, the Indie Music Summit, among others.